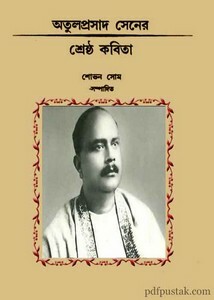 Atul Prasad Sener Shreshtha Kabita Bangla poetry Book pdf. Atul Prasad Sen was the best poet of all poets. He was a poet, lyricist and singer and also known as a musician and composer to Bengalese. 'Moder Garab Moder Asha- Amari Bangla Bhasha' is the impeccable creation of his. He had composed many patriotic songs. Today I'll share a book of his poems compilation and edited by Shobhan Som. Collect this Bangla Kabitar Boi from link below. 146 pages and 4mb.